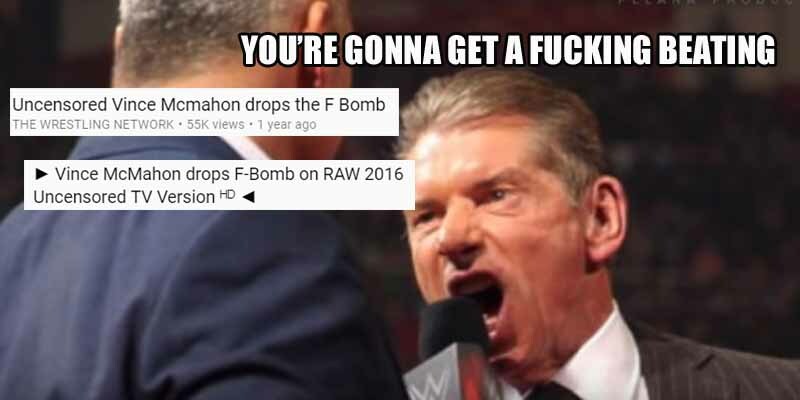 Another guy who gets to say whatever the hell he wants on WWE TV is ofcourse Vincent Kennedy McMahon. During the build-up to his son’s match against the Undertaker at Wrestlemania 32, he said loud and clear “You’re gonna get a f*cking beating” and the crowd went nuts. Obviosuly the fans at home got a nice beep, but you can easily find the uncensored version on YouTube.